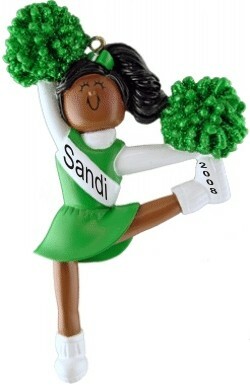 Build unity in your cheerleading squad with the cheerleader with green uniform personalized Christmas ornament. We hand letter the name and the year onto these sports ornament personalized to make them treasured mementos for each gal. A pretty cord is attached, so the cheerleader green uniform African American personalized Christmas ornament can be displayed anywhere. 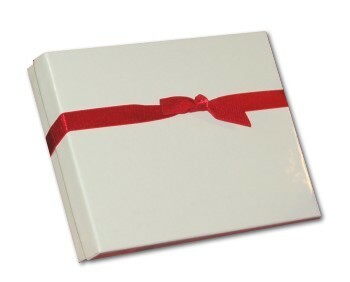 We offer this ornament in different uniform colors as well as in blonde and brunette styles.